Colin Robins is the online editor for DSNews.com. He holds a Bachelor of Arts from Texas A&M University and a Master of Arts from the University of Texas, Dallas. Additionally, he contributes to the MReport, DS News' sister site. Leonard Potillo of Longwood, Florida has been charged in a 33-count indictment for wire fraud, bribing a bank official, and unlawful monetary transactions. Potillo is charged with operating an alleged $76 million fraud scheme involving the purchase and sale of delinquent debt portfolios from banks, according to the Office of the Special Inspector General for the Trouble Asset Relief Program (SIGARP). 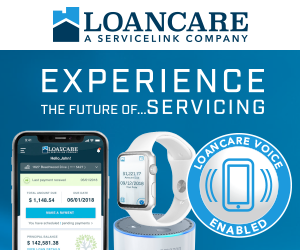 LoanLogics has hired Leah Fox as SVP of Customer Success. In her role, Fox will build new customer success initiatives and lead the LoanLogics Customer Success organization. Local home prices rebounded in Southern Nevada in May despite slight decreases from March to April, according to statistics released by the Greater Las Vegas Association of Realtors (GLVAR). The GLVAR reported that the median price of existing single-family homes in the area was up 1.6 percent from April to $195,000. The Wells Fargo Economics Group released its Housing Chartbook for May 2014. The group found that most markets are finding themselves "wildly out of balance" from inflated home prices driven by investor purchases, as well as exceptionally tight inventories that are well ahead of any improvement in demand. The U.S. Department of Housing and Urban Development (HUD) announced it has entered into a Voluntary Compliance Agreement with the Englewood Housing Authority (EHA) in Englewood, Colorado. The settlement resolves allegations that EHA violated the Fair Housing Act when it implemented a point system at Orchard Place Apartments. SterlingBackcheck, Aspen Grove Solutions, and the National Association of Mortgage Field Services (NAMFS) announced the addition of SterlingBackcheck to the industrywide background screening solution Aspen iRecord. Is there a Housing Bubble Ready to Burst? While many analysts are celebrating the slow and steady recovery of the housing market, an article by the borrower advice website LoanLove offers a different view of the current state of the United States housing market. The article cites economists who believe the current housing market recovery stretching back 18 months is not a true sign of the market's economic outlook. Rather, the recovery is built on shaky ground that could collapse. CFPB Director Richard Cordray appeared before the Senate Committee on Banking, Housing, and Urban Affairs Tuesday morning to give the Semi-Annual Report of the Consumer Financial Protection Bureau. At the hearing, a myriad of topics were discussed, including mortgages, student loans, as well as proposed data collection efforts for the National Mortgage Database. A new report from Fitch Ratings found that U.S. prime jumbo residential mortgage-backed securities (RMBS) issued since the start of 2010 are unlikely to see a "meaningful increase in prepayments, even if interest rates stay low." The company believes that the lack of prepayments will result in an increased average life of the mortgages in these trusts, further increasing the period of default risk. Foreclosure filings were reported on roughly 110,000 U.S. properties in May, a 5 percent decrease from April, according to RealtyTrac's latest U.S. Foreclosure Market Report. Foreclosure filings, which include default notices, scheduled auctions, and bank repossessions, were down 26 percent year-over-year in May to the lowest level since December 2006.